Gov. Edgar Chatto and Holy Name University President Fr. 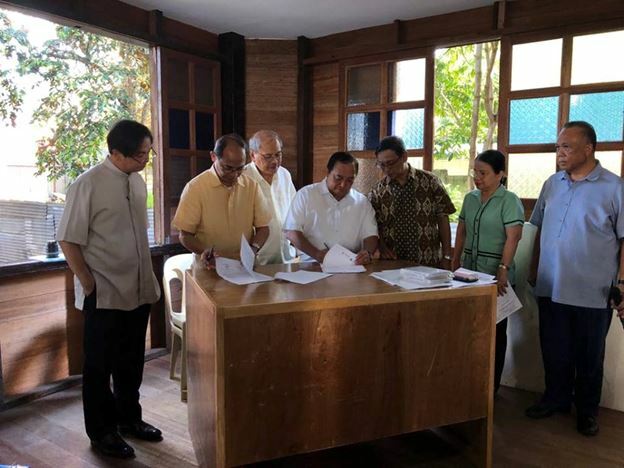 Francisco Estepa sign agreement for the use of the old HNU Elementary building for the Bohol Institute of Living Traditions during its soft launch with cultural officers, non-government organizations, the academe, members of the religious sector, cultural workers, artists. Witnessing the signing were CBCP culture heritage commission chair Fr. Ted Milan Torralba, Center for Culture and Arts Development head Romulo Tagaan, culture and arts “national treasure“and Bohol’s treasure Gardy Labad, DepEd Bohol Division Superintendent Dr. Nimfa Bongo, and culture and arts consultant Marianito Luspo. 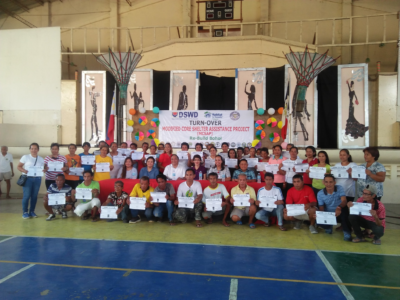 SHELTER ASSISTANCE IN TUBIGON – Gov. Edgar Chatto leads the Ceremonial Blessing and Turnover of 357 units of the Modified Core Shelter Assistance Project in Tubigon. 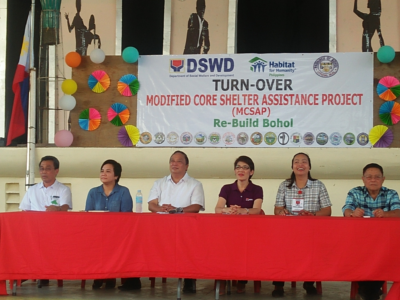 The housing project was a joint effort of the DSWD, HABITAT for Humanity, the Provincial Government of Bohol and in cooperation with LGU-Tubigon. HABITAT admitted that the project was indeed delayed due to some concerns. With majority already done, focus is now on the 98 units on going construction and 10 about to be started units. With Gov. 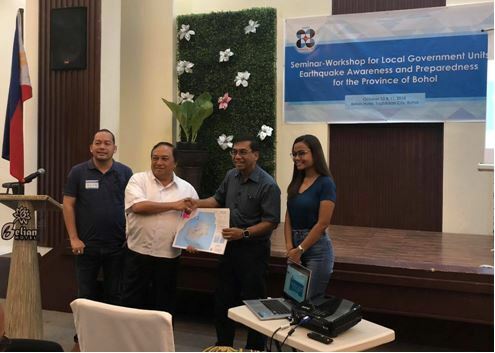 Edgar Chatto are Tubigon Vice-Mayor Billy Fortich, Executive Assistant for External Affairs “Tatay” Billy Tongco, DSWD-7 ARD Shalaine Marie S. Lucero, and representatives from partner agencies. The Department of Trade and Industry through its Philippine Trade and Investment Center in Berlin presented to more than 100 German company representatives the Philippine investment climate and business opportunities, as well as competitive investment incentives offered to German companies at the recent ASEAN Investment Forum on 10 July 2018 held at the Ernst & Young- Düsseldorf Auditorium in Germany. The ASEAN Investment Forum 2018 is a joint project of the investment promotion agencies of the Philippines (DTI Berlin), Malaysia, Thailand, and Singapore, in collaboration with the German Asia-Pacific Business Association, Ernst & Young Düsseldorf and IHK Düsseldorf. The keynote address was given by Dr. Andreas Stoffers of SDI München, who emphasized ASEAN as a thriving economic zone. The event also featured a lecture by Mr. Eduard Herda of EY on operating business models in Southeast Asia, and testimonials from German companies present in the region. For the Philippines, Mr. Dirk Sohns, Head of Asset Management of STEAG GmbH talked about their presence and experience in doing business in the Philippines. Meanwhile, PTIC-Berlin Commercial Counsellor Althea Antonio (in photo, standing) served as the official representative and presenter for DTI. In 2017, Germany ranked as the Philippines’ 11th trading partner (out of 223), 7th export market (out of 216) and 12th import supplier (out of 198). For 2018, Germany remains in the top ten markets of Philippine merchandise goods. On the investments front, Germany ranked third as top source of Investment Promotion Agency (IPA)-approved investment from 2011-2017 in the European Union, following the Netherlands and United Kingdom. In 2017, it ranked as the 12th investment source, with $29.19 million worth of IPA-approved investments. DTI assists Pinoy cargo companies in UAE. 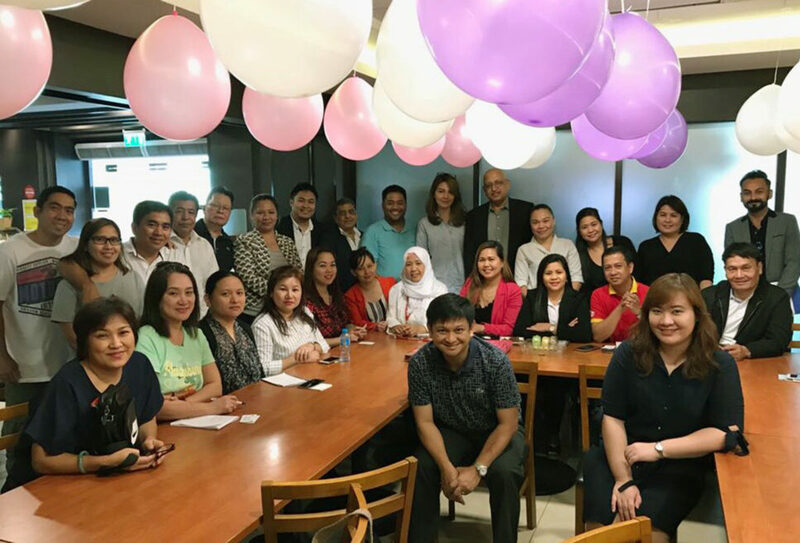 The Department of Trade and Industry (DTI) through its Philippine Trade and Investment Center (PTIC) in Dubai brought together freight forwarding companies in an organizational meeting to discuss the proposed creation of an association under the umbrella of the Philippine Business Council. These freight forwarders service Filipinos frequently shipping balikbayan boxes. Led by Commercial Attaché Eric C. Elnar (first row; seated left), the group discussed common concerns that affect businesses as well as the services provided to customers. Commercial Attaché Elnar encouraged the group to formalize the creation of the association and work together in coming up with solutions that will prove beneficial both for the cargo companies and its clients. It includes self-regulation on and standardization of rates, box sizes and weights, and promotional offers, among others. 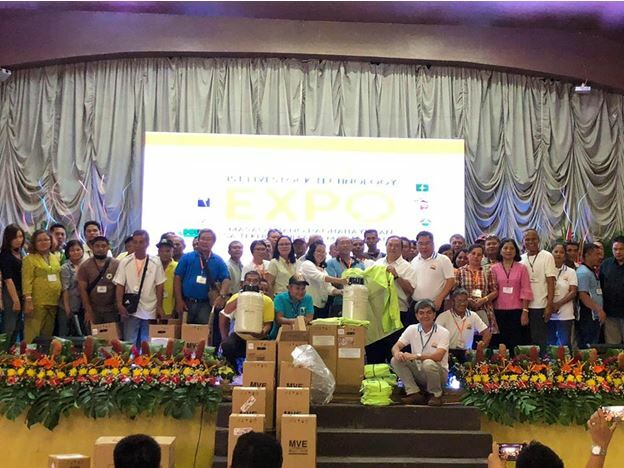 Commercial Attaché Elnar noted that the DTI’s Philippine Fair Trade Enforcement Bureau regularly releases a list of accredited Philippines cargo companies with UAE counterparts to serve as guidance to the shipping public. However, the DTI does not have regulation, monitoring and enforcement authority over companies registered and operating in the UAE. The proposed association’s membership and accreditation is expected to further protect the public against illegal operators. Each day, an estimated 10,000 balikbayan boxes are sent by Overseas Filipino Workers from UAE to the Philippines.